Every business owner has their own way of measuring their success, however for some business owners who set their goals too high, this can result in disappointment when targets are not met. 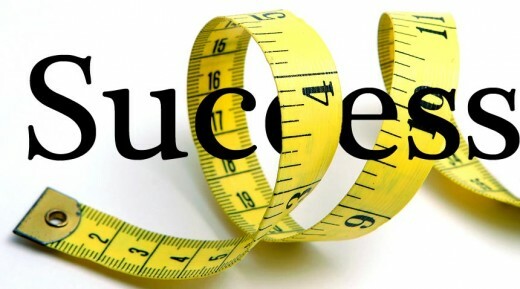 Fusion Affinities review the best ways to measure success and how businesses can reach success by setting smaller goals. It would appear due to programmes like the BBC's 'Dragons Den' that a business is only deemed successful once they have acquired a substantial investment from an external source. In truth there are thousands of successful self-funded small businesses across the UK that are currently taking the markets by storm. Although these television programmes have helped to inspire a new generation of entrepreneurs and encouraged nationwide innovation, there is concern that they are also causing new business owners to set themselves unrealistic business goals. By setting unobtainable goals and pushing for growth too quickly, sales and marketing firm Fusion Affinities believe that business owners could be risking their business' future and causing themselves unnecessary stress. The firm are urging business owners to stop comparing their own businesses to more established competitors and believe that instead they should focus on building an honest and reputable brand in order to create a loyal and solid customer base. To help small business owners gain a better perspective on what is deemed successful, Fusion Affinities have compiled a list of the key areas businesses should be assessing in order to measure their own growth. Measuring repeat sales is a clear cut way of defining whether a business is delivering the right products and service to their customers. Even if a business is small, having a high percentage of repeat customers is a good indication that the business is capable of future growth. It can take a while for new businesses to work out how to operate with minimal wastage. However by increasing efficiency, small businesses are able to both save money and deliver a service to their customers that has the potential to rival larger competitors. Online businesses can easily assess their success by tracking their network traffic. Although small businesses are unlikely to be getting as many visitors as their larger competitors, by assessing the figures in terms of scale, business owners will be able to accurately weigh up whether they are doing enough to attract their target audience. Many business owners get frustrated by being unable to break into larger markets. However these same businesses often hold a large market share of more niche markets and Fusion Affinities believe this is a great indicator of success. After all it's far better to be leading the way in a smaller market, than it is to be overlooked in a large one. Fusion Affinities is a Bristol based direct sales and marketing firm that specialises in customer acquisition and brand awareness. Through face to face interactions and presentations the firm help their clients to boost their brand awareness and develop stronger customer relationships, which helps to increase overall brand loyalty and drives more sales.